The Algoliterator is an installation by Gijs De Heij & An Mertens, Algolit, Constant. 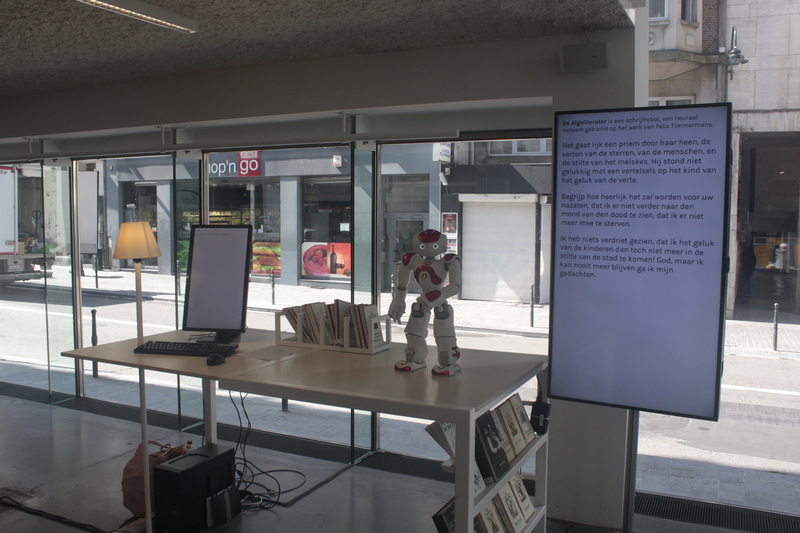 It was shown in the framework of Public Domain Day 2018 in the public library in Muntpunt, Brussels. 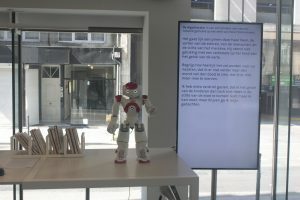 The Algoliterator is trained using a recurrent neural network and the full works of Belgian author Felix Timmermans, who entered the public domain in 2018. The Algoliterator helps you to write a text in the style of Timmermans. You can choose a start sentence from his oeuvre, you can also choose whether you want the Algoliterator to produce the following sentences based on primitive training, intermediate training or final training. 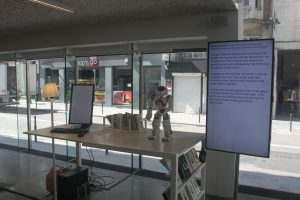 The machine proposes a paragraph that you can edit. 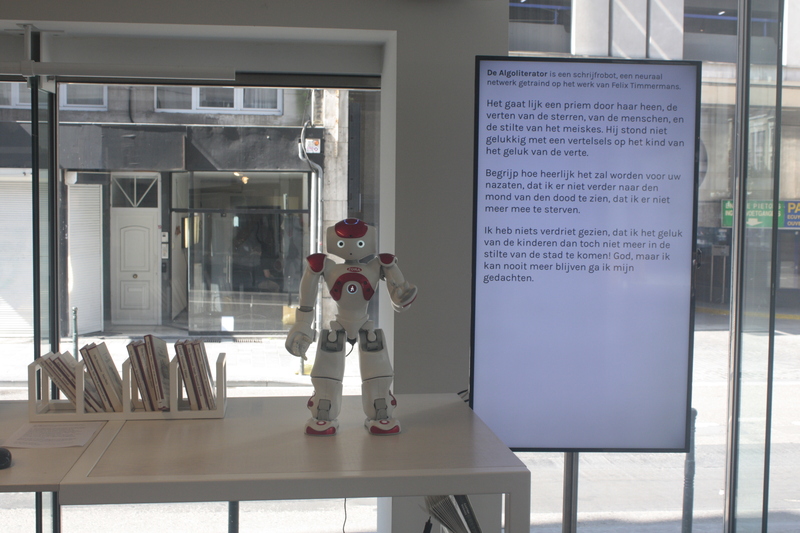 If you are happy with the result, you can send it to Zora, the house robot of Muntpunt. She will read out the text for you. You are currently reading The Algoliterator at Paramoulipist.